The Trustees of the University and the University Hospitals have passed measures to create a new governance model that expands the purview of the Hospitals Board to include not only the activities of the Hospitals but also clinical medical programs in the University’s Division of the Biological Sciences. Because these programs jointly comprise the University of Chicago Medical Center, the Hospitals Board will now be known as the University of Chicago Medical Center Board. 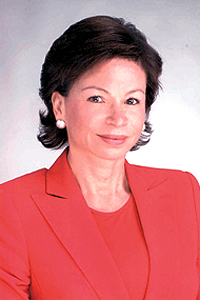 Valerie Jarrett has been appointed as Chair of the Medical Center Board and also Chair of the newly created Executive Committee of that board. She also has been named Vice-Chair of the University’s Board of Trustees. The boards also created the new position of Chief Executive Officer for the Medical Center. That position will be held by James Madara, who also will continue to serve as Dean of the Division of Biological Sciences and Vice President for Medical Affairs, positions he has held since 2002. When a new Hospitals President is chosen to succeed Michael Riordan, he or she will report to the Chief Executive Officer. Jarrett is managing director and executive vice president of the Habitat Company and has been a member of the University’s Board of Trustees since 2001 and Vice Chair of the Hospitals Board since 2002. She succeeds Paula Wolff, who has served as Chair of the Hospitals Board since 1996. Don Randel, President Emeritus, explained that the new governance structure would help the University take advantage of new opportunities and synergies in medicine and health care research. “The best academic medical centers thrive at the boundary between scientific research and clinical medicine,” Randel said. “This new governance structure will bring our clinical and research activities under the able guidance of James Madara, and our integrated clinical activities under the able oversight of Valerie Jarrett and her colleagues on the Medical Center Board and Executive Committee. Randel added that the new structure at Chicago is emblematic of a trend at leading medical centers and also closer to the structure under which the University’s Medical Center operated in the decades after its founding in 1927. 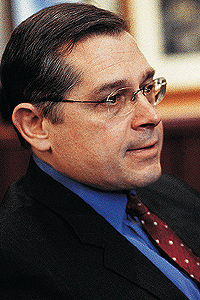 Jarrett joined the Habitat Company, a real estate development and management company, in 1995. Before that, she served for eight years in City of Chicago government posts, first as Deputy Corporation Counsel for Finance and Development, then as Deputy Chief of Staff for Mayor Richard Daley in 1991. She then was Commissioner of the Department of Planning and Development from 1992 through 1995. From 1995 to 2003, Jarrett served as Chair of the Chicago Transit Board, the body that oversees the business of the Chicago Transit Authority, the provider of public transportation service to 1.5 million people in the City of Chicago and 38 suburbs. She is Chair of the board of the Chicago Stock Exchange and vice chair of the executive council of Metropolis 2020. She also serves on the board of directors for the USG Corporation, RREEF America II, Navigant Consulting Inc., the Local Initiative Support Corporation, the Joyce Foundation and the Federal Reserve Bank of Chicago. She also is president of the board of the Southeast Chicago Commission. Jarrett also is a member of the board of trustees of the Museum of Science and Industry and Window to the World Communications Inc. She served as finance chair for the 2004 campaign for U.S. Sen. Barack Obama and was the first treasurer for Obama’s PAC, the Hopefund. A lifelong resident of Chicago’s South Side, Jarrett attended the University of Chicago Laboratory Schools before going on to receive a B.A. in Psychology from Stanford University in 1978 and a J.D. from the University of Michigan Law School in 1981. In January, she gave the keynote address at the University’s celebration of the birthday of the Rev. Martin Luther King Jr. Her mother, Barbara Bowman (A.M.,’52), taught in the Laboratory Schools while earning her graduate degree in Education. Jarrett’s father, James Bowman, is Professor Emeritus in Pathology and Medicine and the College. He also is the namesake for the University’s Bowman Society Lecture Series, which focuses on topics important to the health care of minority communities and supports diversity at the University. In Madara’s four years as Dean of the Biological Sciences and Pritzker School of Medicine at Chicago, research funding from the National Institutes of Health has increased almost 75 percent. Since 2002, clinical and research space have increased dramatically, capped by the recent opening of the University’s Comer Children’s Hospital and the Gordon Center for Integrative Science, the largest research building on campus, to be followed soon by the Comer Center for Specialty Care and the Knapp Center for Biomedical Discovery, opening in 2008. Twelve new department chairmen have revitalized the academic mission and brought in dozens of stellar new young scholars.